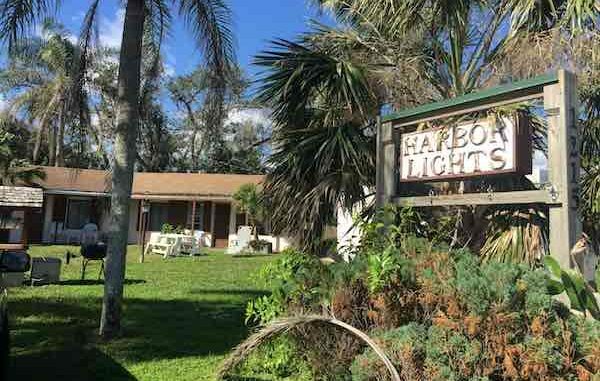 City of Sebastian pays $750,000 for property that belonged to Harbor Lights Apartments near the Main Street boat ramp. Photo by Andy Hodges. SEBASTIAN – The City of Sebastian has purchased riverfront property just south of the Main Street boat ramp, known as Harbor Heights. The city paid $750,000 for the property, located at 1215 Indian River Drive; it is just under 1 acre of land. Officials said the property along the Indian River Lagoon was an opportunity they couldn’t pass up. Initially, the property was for sale at a price of $900,000. But after City Council members received an appraisal, valued at $650,000, they were able to negotiate the price down to $750,000. The council then agreed unanimously to move ahead with the purchase. Sitting on the property now is the Harbor Lights Apartments, which has been at the riverfront location for many years. “Harbor Light Motel” was built as overnight lodging and a filling station to service travelers along US 1 until 1957 when US 1 was moved one block west to its present location. The buildings have survived every hurricane that has struck Sebastian since 1949. In 2003 it was listed as a contributing resource in the National Park Service’s historic listing, Old Town Sebastian Historic District East. The landowner was former City Councilwoman Ruth Sullivan. The property has been in Sullivan’s family for years. 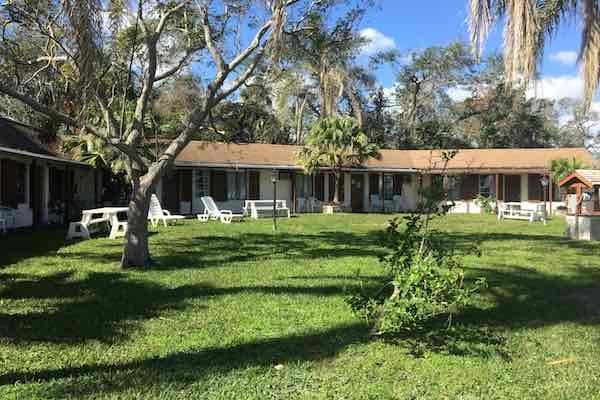 This piece of real estate is split by Indian River Drive, with the east extending along the Indian River Lagoon stretching south of the city boat-ramp property. Harbor Heights Apartments in Sebastian, Florida. Photo by Andy Hodges. The city will protect the lagoon part of the property east of Indian River Drive. Photo by Andy Hodges. With the property now in the hands of the people of Sebastian, the question is what they will do with it. “We will take public input on that. Maybe sell it back and get it back on the tax rolls, make it a park, a parking lot, a new community center,” Mayor Jim Hill told Sebastian Daily. 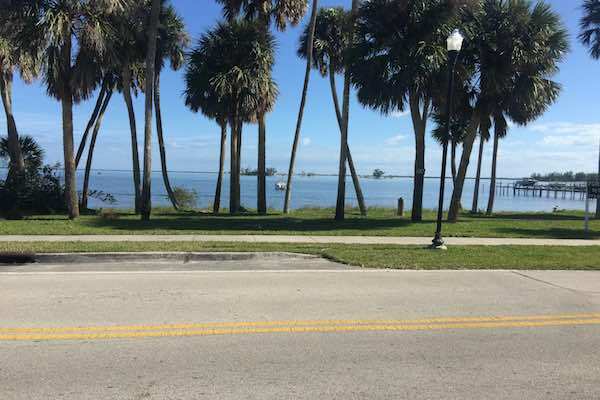 Hill said the property on the east side of Indian River Drive would stay protected from development, saving the view and protecting the lagoon. He also said the property is an investment in the future of the city. 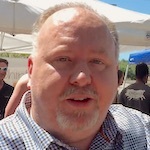 The city bought the land by using $250,000 from the Community Redevelopment Agency, and $500,000 came from sales-tax revenues, according to Finance Director Ken Killgore. Officials said the purchase would not stall or delay CRA projects, and the city would extend construction of a proposed public-works facility from two to three years.